Masterton-based Little Avondale Stud celebrated their 75th anniversary of attending the annual national yearling sales with a special function in their on-site marquee at Karaka on Monday night. Less than 24 hours later they had reason to splash out on a further shindig when they set a stud record as their Savabeel colt, Lot 301, was snapped up by Ultra Thoroughbred Racing representative Toby Koenig for $775,000. The flashy colt is from unraced mare Generous Nature and is a full-brother to the multiple stakes performer Savvy Nature, who is currently racing in Hong Kong. 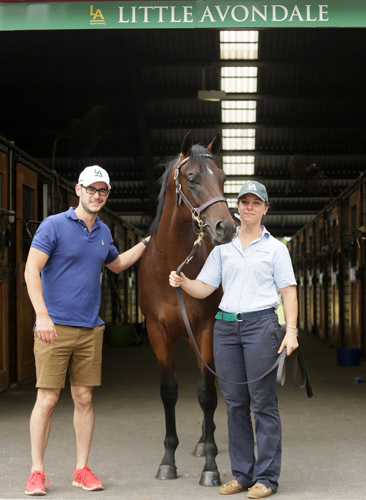 Koenig had struck early on day one of the premier sale session when he outlaid $280,000 for another Savabeel colt and he admitted the progeny of the Waikato Stud-based stallion held a powerful attraction. “We have always been keen on the Savabeels, having bought a number of them through this sale,” he said. The colt had been on Koenig’s radar since he began his due diligence on this year’s Karaka catalogue. “We came over in December to do our pre-sale inspections, although we didn’t actually see this colt until we arrived at the complex last week,” he said. Koenig headed off a stern challenge from local bloodstock agent Michael Wallace, who finished as underbidder on the colt. Little Avondale principal Sam Williams couldn’t hide his delight at the result, particularly on the stud’s anniversary. “To set a record price is just massive,” he said. 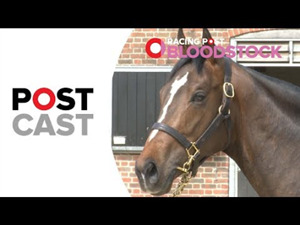 “It’s a very special year for us and to set a new benchmark for the stud is amazing. Williams was on edge as the colt entered the auction ring after tracking interest in him through the Thoroughworks.com website. “We knew by the parades we had for him that interest was high and I think he was the most viewed colt on Thoroughworks,” he said. “You always hope that translates into action in the ring and it certainly did this time. We’re here to meet the market and he was for sale from the opening bid. * Multiple Group One winner All Too Hard had a spectacular result when Australian bloodstock agent Justin Bahen outlaid $525,000 for Lot 338. The colt was consigned through the Lyndhurst Farm draft. 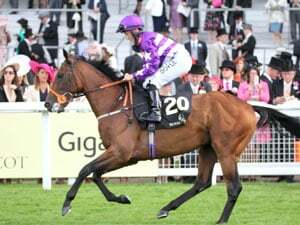 “All Too Hard was a very classy galloper during his racing career and from what I’ve seen of his initial crop he has passed plenty of those attributes on to his progeny,” Bahen said. 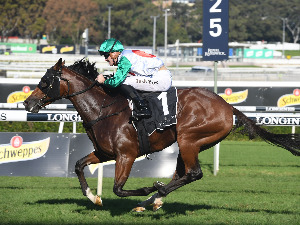 Bahen has been a regular buyer at Karaka for a number of years with purchases including Pinstripe Lane who finished second in the 2014 Queensland Derby. 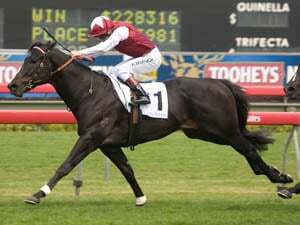 The All Too Hard colt is from G1 placed mare Kalamata who is the dam of G3 South Australia Sires Produce Stakes winner Stirling Grove and features G1 winner Hucklebuck in his extended pedigree. Bahen bought the colt on behalf of a Hong Kong based client and will return him to Melbourne for his initial development before any decisions on a racing career are made. There is no doubt the business of thoroughbred breeding is cyclical. As an example take the stud-related events of the last week for Darley in Australia.